LE JEUNE, JEAN-MARIE-RAPHAËL (named at birth Jean-Marie), Roman Catholic priest, Oblate of Mary Immaculate, missionary, linguist, author, and newspaper publisher; b. 12 April 1855 in Pleyber-Christ, France, one of the three sons of Pierre Le Jeune, a merchant, and Marie-Françoise Breton; d. 21 Nov. 1930 in New Westminster, B.C. Jean-Marie-Raphaël Le Jeune, whose brothers, Louis* and Yves-Marie, would also become Oblate priests, entered the Oblate seminary in Nancy, France, on 10 Dec. 1873 and took his perpetual vows on 12 Dec. 1875 at the scholasticate of Autun, where he was ordained on 7 June 1879. 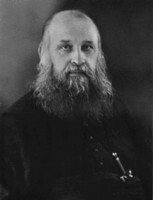 He volunteered for service in British Columbia and, accompanied by the newly ordained Eugène-Casimir Chirouse, he arrived in New Westminster – the Oblate headquarters in the province – in October 1879. He wintered there under the supervision of Bishop Paul Durieu*, learning Chinook Jargon, a pidgin containing Chinookan, Nootkan, French, and English words which was used by the Oblates to communicate with natives who spoke a variety of languages. Le Jeune spent the summer of 1880 in the Fraser Canyon learning native languages and in the fall he was sent to St Mary’s mission in the lower Fraser valley, where he was stationed for the next two years. Assigned in 1882 to St Louis’s mission in Kamloops, Le Jeune arrived on 17 October with a printing press, probably intending to publish works in native languages. Charged primarily with the proselytization of native people in the region, he was also posted in 1885 and 1887 to the railway district, the Canadian Pacific Railway’s territory from Kamloops east to the summit of the Rocky Mountains; it took three to four months to traverse the region. In 1891 Le Jeune became the rector of St Joseph’s Church on the Kamloops Reserve and in November 1893 he succeeded Father Jean-Marie J. Le Jacq as superior of St Louis’s mission. There he would remain until 1929, when he transferred to New Westminster owing to ill health and old age. Le Jeune was very active among the native people of the region. He successfully encouraged the construction of chapels and was deeply involved in retreats which could be attended by 2,000 to 3,000 natives. These retreats reflected the Oblate belief that when proselytizing natives one could “better speak to their hearts by [appealing to] their eyes.” Elaborate visual spectacles featuring exhibitions of Christ’s Passion enacted by natives, penitential parades, expositions of the Eucharist, and first communions were organized by the Oblates. In 1892, such a retreat was held at St Mary’s mission and Le Jeune and Durieu had started planning for it two years earlier. Their correspondence testifies to the organization such an event required: transportation of natives had to be arranged, each band’s food had to be gathered and transported “so that our meetings will not be potlatches,” and decorations and props had to be acquired or built. Le Jeune was an apt student of native languages. In 1922 he would tell the Kamloops Rotary Club that he “could swear in 22 languages.” His most lasting material accomplishments stem from his linguistic talent. In 1890 he had set about adapting the Duployan system of shorthand (developed in France by Émile Duployé) to the sounds of Chinook Jargon. He was considerably aided in this project by Durieu, who urged him to see that the stenographic system was as true to the jargon’s pronunciation as possible. Le Jeune’s first pupil was Charlie Alexis Mayous, who was able to learn the system rapidly. 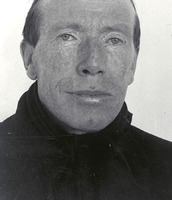 Mayous wintered at the Coldwater Reserve in 1890–91 and taught many others the shorthand. Literacy in the Duployan system seems to have spread quickly among native people in the district and on 2 May 1891 Le Jeune launched the first edition of what he would later describe as “the strangest newspaper in the world,” the Kamloops Wawa [Talk of Kamloops]. This illustrated, mimeographed periodical, written in Chinook Jargon and English, contained information on local affairs as well as international news of religious importance. It was published regularly through to December 1904 and occasionally up until 1917. Its success is evident from its circulation numbers, which peaked at 3,000 copies per edition. In 1904 Le Jeune visited Europe, accompanied by chiefs Louis Clexlixqen* of Kamloops and Johnnie Chilleheetsa of Douglas Lake. The two native men took part in an exhibition of stenography, at which they received three gold and five silver medals. They also met Pope Pius X and were received at Buckingham Palace by King Edward VII. Le Jeune was the author of numerous pamphlets and educational works, such as Practical Chinook vocabulary . . . (Kamloops, 1886), Prayers in the Okanagan language (Kamloops, 1893), and Chinook rudiments (Kamloops, 1924). His linguistic abilities are evidenced in the Oblate Polyglott manual of prayers (12v. in 1, Kamloops, 1896–): he was responsible for eight of the eleven dialects represented therein. Jean-Marie-Raphaël Le Jeune was a kind man with a sense of humour, who seems to have been very popular with the native people of his district. Interviews with natives on the Kamloops Reserve in 1947 elicited a common response: “Invariably their faces lighted up with pleasure as they replied, ‘Yes, we remember him well, He was a great and good man.’” He died in 1930 and was buried at the Oblate cemetery in Mission. Aside from the works mentioned above, Jean-Marie-Raphaël Le Jeune published many others, some in several editions. The catalogue of the LAC, which can be consulted on the Internet, lists 109 entries under the name of Le Jeune. The CIHM’s Reg. also mentions a number of his publications. Arch. Départementales, Finistère (Quimper, France), État civil, Pleyber-Christ, 16 juin 1854. Arch. Deschâtelets, Oblats de Marie-Immaculée (Ottawa), HPK 5301-20 (brochures, articles, études et corr. de J.-M.-R. Le Jeune). Kamloops Sentinel (Kamloops, B.C. ), 29 Dec. 1922. L. A. Blake, “Let the cross take possession of the earth: missionary geographies of power in nineteenth-century British Columbia” (phd thesis, Univ. of B.C., Vancouver, 1998). Gaston Carrière, Dictionnaire biographique des oblats de Marie-Immaculée au Canada (4v., Ottawa, 1976–89), 2: 305–6. R. V. Grant, “Chinook Jargon,” International Journal of American Linguistics (Baltimore, Md), 11 (1945): 225–33. W. H. Gurney, The work of Reverend Father J. M. R. Le Jeune, o.m.i. ([Vancouver], 1948). Missions de la Congrégation des missionnaires oblats de Marie Immaculée (Liège, Belgique), 43 (1905): 242–43. Month (London), June 1892. Les oblats de Marie Immaculée en Orégon, 1847–1860: documents d’archives, Paul Drouin, édit. (3v., Ottawa, 1992). Lynn Blake, “LE JEUNE, JEAN-MARIE-RAPHAËL,” in Dictionary of Canadian Biography, vol. 15, University of Toronto/Université Laval, 2003–, accessed April 26, 2019, http://www.biographi.ca/en/bio/le_jeune_jean_marie_raphael_15E.html.